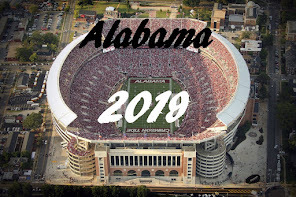 - read MocMania's preview - Western Carolina Preview: Corner Turned? After four straight losses, including a first game loss in the series with Longwood, the Catamounts were able to slip by Big South foe Longwood, for a win in game two of the series. On the strength of 10 hits in the afternoon game, the Cats put 8 runs across home plate, giving the home team a three run cushion in their 8-5 victory at Hennon Stadium on Wednesday. With the score at 8-2 in favor of the Cats in the top of the 8th inning, the Lances pushed across three runs off four hits, a triple and three doubles, to get with-in three runs of the Cats. Tyler Powell came in to pitch in the 9th, and shut down Longwood with two strike outs and a grounder to the short-stop, for his first save of the season. The Catamounts did continue their troubling pattern of errors, committing three during the course of the game, two fielding errors and one throwing error. Taylor Sandefur picked up his first win of the season, pitching 6 complete innings, striking out 4, and giving up 2 runs. The Cats are now 4-5 on the season. Western Carolina’s Brandon Hairston was named the Southern Conference Men’s Indoor Track Athletes of the Week for meets over the weekend. 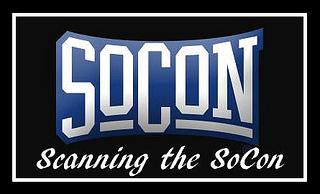 Hairston took home two titles in the SoCon Indoor Track & Field championships over the weekend. He won the men’s 200m dash and was the anchor leg in the men’s 4x400m relay, which the Catamounts also won. Hairston finished second in the men’s 60m dash and third in the 400m dash. The Walkertown, N.C. senior was named the championship’s Most Outstanding Athlete and the Most Outstanding Track Performer. Western Carolina’s Alisha Bradshaw has been named the Southern Conference’s Women’s Indoor Field Athlete of the Week for meets over the weekend. In the field events, Bradshaw took home two individual titles at the SoCon Indoor Track & Field Championships, winning the women’s weight throw with a mark of 17.56m (57’7.5”) . Bradshaw also won the women’s shot put with a mark of 14.28m to help the Catamounts with the women’s team title. The sophomore won the women’s shot put by just .02m, and was named the weekend’s Most Outstanding Field Performers. Well, I hope this clears things up for you. Two teams that are still in the running for the fourth and final bye in the 2013 SoCon Men's Basketball Tournament will battle as UT Chattanooga travels to Western Carolina's Ramsey Center on Thursday, February 28th, for their second and final meeting in the regular season. While both teams need help from others to reach that elusive bye, a loss by either team in this game eliminates that team from the race. However, for the winner of this game, there remains hope that the other dominoes will fall into place, leading to the bye. The Catamounts not only need to win this game, they need big-time assistance from their arch rival to accomplish their goal and set up a run at Samford, the current holder of that bye. So, what is the help the Cats needs from Appalachian State? Simply put, we need the Mountaineers to beat Samford on Thursday night, while we take care of Chattanooga. 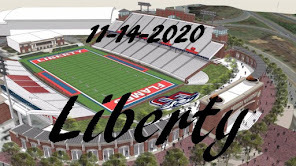 If they don't accomplish that - and Samford wins their game, all three remaining schools hoping for that bye, Western, ASU, & UTC are eliminated in this bye race. If the Bulldogs win, they lock up the bye, regardless of what else happens in the Thursday and Saturday's games. Go Mountaineers! Chattanooga comes to Cullowhee having been on a very similar roller coaster ride that the Catamounts have been on this season. The $64 thousand dollar question is - which Mocs team will show up in the Ramsey Center? Will it be the Mocs team that was blown out by UNCG, 94-68 last Thursday or will it be the Mocs team that upset Elon, 72-68 just two days later? Hopefully the answer to that question lies in the Mocs' win/loss record on the road. Chattanooga has played a total of only 11 road games thus far this season, but, and this is a critical point, they have won only 3 of those games away from the somewhat friendly confines of McKenzie Arena. Chattanooga's road game losses are where some of their largest margins of defeat occurred. The last road win for Chattanooga came at The Citadel, back on Jan 10, 2013. Currently the Mocs are 12-17 over all and 7-9 in SoCon play. While the Mocs are averaging 68.8 points per game placing them in 6th place in the SoCon, - as a team, Chattanooga is hitting only 67.1% at the free throw line, a very important stat if you are a Catamount fan. Chattanooga has two players currently scorning in double figures - Z. Mason leads the team scoring with 14.3 ppg, and 7.3 rebounds per game, but is closely followed by Gee McGhee, Chattanooga's candidate for freshman of the year, with 12.4 ppg and 3.8 rebounds per game. This should be a battle to the end, with so much ridding on the outcome for both teams. Too close to call, but here's hoping the Ramsey Center gives the Cats an edge. Western Carolina left-hander Adam Curtis has been named the Southern Conference Pitcher of the Week for all games Feb. 18-24. Curtis struck out a career-best eight batters to pick up a victory in the Catamount’s 7-2 win over Wake Forest last Wednesday. Curtis went six innings, while allowing only one run on four hits and a walk as the Catamounts knocked off the ACC’s Demon Deacons in Cullowhee, N.C. The Arden, N.C., native retired the first five Wake Forest batters of the game as WCU jumped out to a 4-0 lead after the first inning and never trailed. Samford and Western Carolina will be meeting for the 12th time, with Samford holding an 8-3 advantage in the series. The teams met earlier this season, on Jan. 18, in Cullowhee, N.C. In the earlier meeting, Samford came away with a 47-38 win. The game can also be viewed free online via Samford Sports TV . The Longwood Lancers are the latest addition to the Big South Conference, joining in 2012. Longwood is located in in Farmville, Virginia. Thirty-five-year veteran head coach Buddy Bolding, who has said that this would be his last at the helm of the, returns six position starters and six pitchers among his 13 returning lettermen. Longwood was picked to finish sixth in the six-team North Division in the 2013 Big South Conference Baseball Preseason Poll, behind Liberty, Campbell, High Point, Radford and VMI. Longwood is currently 2-2 on the season, with wins over James Madison and Fairfield and losses two Fairfield. The WCU men's track & field team finished third overall in the 2013 Southern Conference Indoor Track & Field Championships held in Winston-Salem, NC. The Western Carolina Women's Track & Tield team won its seventh women's Southern Conference Indoor Championship Sunday in Winston-Salem, N.C. The championship concluded with the women’s and men’s 4x400m relays. Western Carolina took first place in both. The women’s team, consisting of Genevieve Emrick, Corina Archie-McMillan, Jocelyn Keen and Tayla Carter, finished with a time of 3:47.95 for the Catamounts’ seventh-straight 4x4 crown. Congratulations from Purple & Gold to the Women's Track & Field Team on their SoCon Championship. Brandon Boggs led all scorers with 26 points, as the Catamounts won their final ESPN BracketBuster game by a final score of 80-70 over Coastal Carolina. Hunter continued, "There were a lot of positives out here tonight. Coastal Carolina is a good ball club; they are very well coached. They made their run in the second half and we answered it. We haven't really punched anyone in the nose' in the first half - haven't really gotten off to a great start at home, and we really did that today." The Cats play their final two home games this week, hosting Chattanooga (Thurs., Feb. 28) and Samford (Sat., March 2) in the Ramsey Center, with the fourth and final bye at stake. The Catamounts dropped a pair of games to open the Greenville Drive First Pitch Tournament at Fluor Field. The first two opponents were the Big Ten's Michigan State Spartans and Miami (Ohio) of the Mid America Conference. These two team entered the tournament weekend with only one win between them. This tournament looked to be the perfect setup to extend the Catamounts' win record, however, before we count the chickens, we must play the game. The Spartans and Redhawks had totally different ideas than the Catamounts. The Spartans were 1-1 on Friday, have their lone win over Furman. The Miami Redhawks were 0-3, having lost twice to that same Furman team. In game one on Friday, the Cats lost the opener to Michigan State, 4-1. Against the Spartans, the Catamounts allowed 4 unearned runs to cross home plate. With this loss, Jeremy Null goes 1-1 on the season. He pitched 5 innings, giving up 3 hits and 3 runs to the Spartans. In game two, the Cats scored their first run against Miami, in the first inning and held on to that lead until the top of the 7th, when the Redhawks put 2 runs across the plate. In the bottom of the 9th, the Cats scored again, sending the game into extra innings, at 2-2. The Redhawks were able to push across a run in the top of the 10th, which was all that was needed to secure their first victory of the season. Preston Hatcher picks up the loss for this game. On Sunday, the Cats will play the Cincinnati Bearcats at 3 pm. Cincinnati enters tonight's game against Furman with an 0-4 record. So, they will either be 0-5 or 1-4 when they meet the Cats. Can the the Bat Cats salvage anything out of this weekend? Catamount women's basketball plays at Chattanooga at 5 p.m. Saturday on ESPN3. This game is seventh meeting with the Chanticleers on the basketball court, with Coastal Carolina holding the all-time series lead at 4-2. The Chanticleers have won three-straight against the Catamounts including the last meeting in 2002. Coastal is averaging 67.0 points per game, with a 44.3% field goal average. The Chanticleers average about 5 three-pointers per game, and are shooting 65% as a team from the free throw line. Coastal averages 14.5 turn-overs and 8.7 steals per game. Junior center El Hadji Ndieguene (6-10 / 245) is the leading rebounder, at 7.3 rpg. Three Chanticleers are averaging in double figure scoring, senior guard Anthony Raffa leads all scores with 18.8 ppg, followed by senior guard Kierre Greenwood with 12.5 ppg and sophomore Warren Gillis with 10.3 ppg. 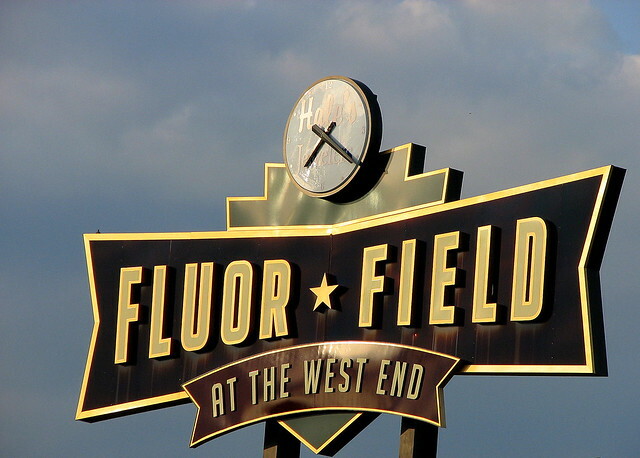 This weekend, the Catamounts will travel to Greenville, SC to play in the Greenville Drive First Pitch Tournament at Fluor Field. First up for the Cats will be the Big Ten's Michigan State. The Spartans are 1-1 on the season, with a win over Furman and a loss to Northwestern. On Saturday, the Cats play Miami (Ohio) of the Mid America Conference. The Redhawks are 0-2 overall, with losses to Northwestern and Furman. Miami will play Furman on Friday before meeting Western on Saturday. On Sunday, the Cats will play the Cincinnati Bearcats of the Big East Conference. The Bearcats are 0-3 on the season, with three losses to Florida International. Cincinnati plays Michigan State on Friday, and then Furman on Saturday, prior to meeting the Cats on Sunday afternoon. Here's too a weekend sweep by the Catamounts. A. C. Reynolds High School defensive lineman Ryan McLaughlin accepted a preferred walk-on spot with the Catamounts. McLaughlin made 67 tackles (13 for a loss) on defense. He missed two games because of a knee injury in the middle of the season. All-WNC selection for the MAC 4-A champion Rockets (9-3). Just as it happened last week in the Elon game, a last second foul sent Elon to the free throw line, that enabled the Phoenix to tie the game and send it into overtime, Western commits another last second foul to send CofC to the free throw line, with the game tied, thus enabling the Cougars to pull ahead for the 2 point win, with .06 left in the game. LHP Adam Curtis pitched his first win of the season as the Catamounts pounded the Wake Forest Demon Deacons, 7-2 at Childress Field / Hennon Stadium. Curtis pitched 6.0 innings and struck out a career-high eight Demon Deacons in his first outing of the season. Freshman Bryce Danielson went 1.1 innings and set up Preston Hatcher's third save of the young season. The Cats wasted no time getting on the board in the first inning, scoring 4 runs off 5 hits. "Scoring four first inning runs is huge, but Adam Curtis going out and giving up no runs in the first is even bigger," said head coach Bobby Moranda. "It set the stage for us to go out and put up a four spot against a very good Wake Forest team. Curtis really executed. He had way more command than the last time he threw." Wake Forest loaded the bases off three, one-out base hits, off relief pitcher Bryce Danielson in the top of the eighth. After a bunt single loaded the bases, Moranda brought in freshman RHP Jonathan Waszak. Waszak only pitche to one batter who hit a bloop single to right field, scoring one run, making the score 5-2 in favor of the Cats. Moranda returned to the bull pen and brought in Preston Hatcher. Hatcher entered the game and struck out consecutive batters to end the threat and sat down the Deacs in order in the ninth to complete the save. The Cats picked up two more insurance runs in the bottom of the eight. On Friday, the Catamounts make the short trip to Fluor Field in Greenville, S.C., the site of the 2013 Southern Conference Baseball Championship to participate in the Greenville Drive First Pitch Classic. The Cats open with Michigan State. Today will be a big day in Catamount athletics as Wake Forest visits Cullowhee and Hennon Stadium at 4:00 pm for baseball, followed by the last regular season visit by the College of Charleston Cougars to the Ramsey Center at 7:00 pm for basketball. WCU's head coach Bobby Moranda is expected to start senior LHP Adam Curtis (5-2, 4.65 ERA in 2012) against the Deacs on Wednesday. In the brief history between the two teams, Wake Forest leads the all-time series with Western Carolina 4-3, the first meeting between the teams came in 1971. Read more here. The series between the Catamounts and Cougars in Cullowhee is tied at six wins, six losses apiece, with the Cats winning the last three-straight games over CofC inside the Ramsey Center. The most recent victory in Cullowhee was on the ﬁnal day of the 2010-11 season. as the Cats secured a share of the SoCon North Division crown with the win. Read more here. Head coach Mark Speir has named Steve Sisa to the position of Special Teams Coordinator for the upcoming season. Sisa will continue to coach the Catamount defensive secondary including defensive backs and safeties. Steve Sisa (pronounced SEE-suh) joined Speir's staff in mid-February, 2012 coming to Cullowhee after spending two years on staff at the UNC Chapel Hill working with the Tar Heel safeties. Prior to North Carolina, Sisa served two seasons as a graduate assistant at Southern Mississippi with the Golden Eagles making back-to-back appearances in the New Orleans Bowl during his tenure. Sisa helped tutor the Southern Miss secondary under defensive coordinator Todd Bradford and head coach Larry Fedora. The Wake Forest baseball team visits Childress Field / Hennon Stadium on Wednesday afternoon for game #1 of the home and home series with the Demon Deacons. The Catamounts will travel to Winston-Salem on March 26 for the return game. The Deacons will enter Wednesday's game with a 3-1 record, having played in the University of Louisanna at Monroe (ULM) Baseball Tournament. Wake Forest played 4 games in three days, playing both Alcorn State and ULM twice. The Deacons split the opening day, winning against Alcorn State (3-0), but dropped the second game of the day to ULM by a 9-0 score. Wake Forest won the two remaining games, Saturday against Alcorn State, 17-2 and on Sunday beat ULM by a 11-4 score. The Demon Deacons are a veteran team under 5th year head coach Tom Walter. The Deacons return 20 lettermen from a team that was 33-24 in 2012. Walter has 7 position starters returning, as well as two starting pitchers coming back to the mound. Wake Forest was picked to finish fourth by the coaches, in the six team Atlantic Division of the ACC. Game time is set for 4 pm. During Saturday's game at Elon, Tom Tankelwicz matched his individual single-game career-best of seven made 3-point shots in a game. Tankelewicz now has 71 three-pointers made this season. which ranks him seventh on Western Carolina's single-season chart. Tankelewicz entered the Elon game in a four-way tie for 10th, then jumped Terry Boyd (65, 1990-91), David Donerlson (67, 1988-89) and Jake Robinson (70, 2007-08). The Western Carolina Catamounts won their first non-conference series of the season over Pac-12 foe, Washington State, 2-1. Sophomore RHP Jeremy Null and the Catamounts won opening day by a 8-5 score, with Preston Hatcher earning his first save of the season. In game #2 on Saturday, the Bat Cats won a slug fest 15-10, with Jordan Smith picking up the win and Hatcher credited with save #2 for the season. With the game two win, the Catamounts wrapped up the series victory. In game #3, Washington State rallied in the top of the seventh inning as Nick Tanielu pounded a two-RBI double down the left field line as the Cougars downed Western Carolina, 4-1. Morgan McKinney took the loss for WCU, surrendering two runs on eight hits with six strikeouts and a walk through six innings. With this series win, the Cats are 5-3 all-time against teams from the Pac-12, 2-1 vs. Washington State; 2-1 vs. USC; 1-0 vs. Stanford; 0-1 vs. Arizona State. The Cats are scheduled to host Wake Forest at Hennon Stadium on Tuesday afternoon. First pitch is scheduled for 4:00 pm. Former Catamount wide receiver David Patten has joined the Western Carolina football coaching staff of second-year head coach, Mark Speir. The 12-year veteran wide receiver in the National Football League, returns to Cullowhee after three trips to the Super Bowl. "We're very excited that David Patten is joining our football coaching staff for the 2013 season," said Speir. "David will bring a lot of energy, knowledge and passion to our program. Having someone like David with 12 years of NFL experience and three Super Bowl rings around our players and coaches will be a tremendous asset and boost to our program. He knows what it takes to compete at a high level and it's awesome to be able to have a guy on staff that came through our program at Western Carolina and excelled on the highest stage." Speir was on the staff of former head coach Steve Hodgin while Patten was a Catamount student-athlete and part of WCU's heralded "three amigos" receiving corps that included Patten, Craig Aiken and Kerry Hayes. The Catamount football team is scheduled to open its annual spring drills on March 13 with the NCAA-mandated 15 practices to be spread over five weeks. Practice will culminate with the spring game event scheduled for Saturday, April 20 in Cullowhee. McKinny selected "Leggett No. 7 Legacy"